For the first time since my friends and I have been sharing music, we have a compilation album. Apparently Spencer showed this album to me 10 years ago, but I don’t remember that. But this isn’t your typical compilation. These guys weren’t even one-hit wonders. They were nobodys. These tunes are from the ’60s or ’70s. This album pays homage to forgotten American funk. I really found myself diggin’ the instrumental tunes. Possibly because Dap Walk was just okay. The bass and horns were sweet, but the guitar was a little too much. Fish Head kind of had the same problem. The best vocal track was probably Beautiful Day, although it had a lot of stuff going on behind the vocals. Maybe I liked it because they slowed the funk down almost to the point of being reggae, but without relying so much on the back beat. Let’s Go (It’s Summertime), Jody’s Freeze, Kashmere, Southside Funk, and The Phantom were just fantastic, though. As was Trespasser, although I would have chosen more of an organ sound rather than … whatever they had going on with the keys. The Kick was pretty sweet, too. That was a quick six and a half minutes, which isn’t always the case. The title track was a bit more raw than I anticipated. A little more James Brown-esque. And while I loved the feel of the tune, I felt like the whole song was building to something I never got. We almost got there in the last minute or so, but not quite. I loved the little break they’d do before the rhythm section would go back into the groove. Tighten Up Tighter was also pretty raw. I think slowing it down would have done wonders. What About You was a bit … unexpected. It was like a PSA from the ’70s. The music was sweet, though. My favorite band on this album has to be James Reese and the Progressions. Tight musicians with sweet grooves and great melodies. Solid and clean through and through. They will get more listens from me. It’s just sad that this is all there is. Apparently James Reese, a trombonist and organist, earned his keep as a public school band director and toured in the off-season with stars such as The Temptations and Diana Ross, The Jackson 5 and various independent big bands. The Kashmere Stage Band and The Soul Seven were pretty sweet, too. My one real complaint for this album in general is that some of the tunes seemed long. Not all of them. There were a few that were too short, leaving me wanting more. Like Jody’s Freeze and Kashmere. I wanted more of Can We Rap, too, but I wanted more without the vocals. But that’s better than checking to see how much of a track is left, which I did on a couple of tracks. This is the third time Chris has shared a Silverchair album. This time, it’s their debut, recorded when the band was merely 15. Except for Undecided, the vocals don’t sound like they belong to a 15-year-old. Since we are moving backwards in time, I also feel like we’re going backwards in quality. I liked Diorama, and Young Modern was more even keeled. You could tell that Frogstomp was an early effort – both their songwriting and playing are less mature. The playing is tight. It doesn’t sound like most 15-year-olds’ bands in that regard. But it’s still just three individuals playing the same song. They don’t feel like one unified band yet. I wasn’t really impressed with Israel’s Son or Leave Me Out. They just sounded like ’90s music. Maybe a bit heavier than I anticipated, but just as raw. Actually, they both reminded me of Pearl Jam’s Evenflow. That could be said for all the tracks on this album. 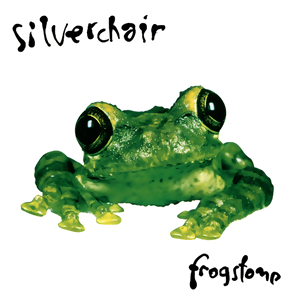 If I didn’t know it was Silverchair, I would have thought I was listening to Filter, Tonic or some other mildly successful ’90s alt. rock or grunge group. Which makes sense, considering that’s probably exactly the kind of bands these guys were listening to. The other albums had more diversity in the writing, and I miss that here. Maybe because I started with their later music, I’m expecting more of that, but this just feels like a lot of the same stuff. I think Shade is the only exception, and was the only song that really stood out to me on the first listen. Although I don’t really like his vocals, musically the track is great. As I’m trying to give this a rating, I’m trying to give the average of what I thought of each song individually. I’m trying not to let my rating be based on how it compares to their later, more mature albums. But I’m human and I make no guarantees. Still, I gave their other albums 3/5, and I don’t think this album is as good. It was okay the first time I listened to it, but I didn’t really want to listen to it a second time. I think that earns it a 2/5. But I did give it another listen, just to make sure I wasn’t missing something. Maybe it didn’t age well, but who in the ’90s knew grunge wasn’t going to last long? For the time, this was pretty good. And who can fault 15 year olds for being stereotypical mainstream. In the context, Tomorrow and Faultline are good ’90s alt. rock tunes. In the end, it’s still not something that I’d probably seek out again. Except for Dream On, I had never heard anything off this album before. Frankly I had never understood why people liked Aerosmith. They were just kinda sub-standard rock. That is until I listened to this record. Then I got it. You can tell they were hard rockers who listened to blues and probably even some country music. 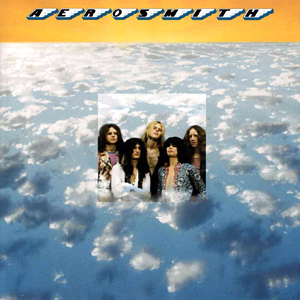 I always felt like Dream On didn’t really fit in with the rest of Aerosmith’s catalogue, but it fits on this album. It all makes sense. 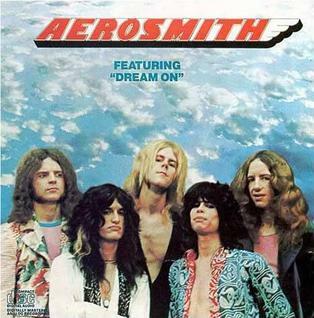 I’ve never thought Steven Tyler sounded like himself on Dream On. As it turns out, I don’t think he sounded like himself for most of the record. Especially not the first half. When Tim shared Toys in the Attic, I liked the music, but didn’t really care for most of the lyrics. This time I liked the music so much, I had to keep reminding myself to pay attention to the words. No one track stood out to me as a highlight, but there really weren’t any lowlights either, except for maybe the length of One Way Street. Ironically, the thing I disliked the most was how short the album was. I wanted 10 minutes more. Cut One Way Street down a little and you could easily get three more songs out of that. And let’s be honest. That album art is the worst of the week. The second pressing of the album had different artwork, and that was better. Still not great, but better. But I’m not judging an album by its cover. This album really surprised me. I feel like this whole album holds up really well, better than Aerosmith’s later stuff. Kind of the opposite of Silverchair. I still don’t love Aerosmith. And Steve Tyler has always been ugly. But at least now I understand why they got famous. I understand why people started listening to them. And I can respect their skills. This album gets an “I’d listen to that again” 3/5. If I could only use word to describe this album, it would be fun. The vocals aren’t the epitome of artistry, but if there was ever one band who did not take themselves too seriously, that band would have to be The ‘Bats. It makes sense when you remember the lead singer is one of the guys behind Yo Gabba Gabba. And now these guys have their own TV show detailing their super-hero efforts and their dazzling array of boo-ya. But don’t take my word for it. Even Star-Lord likes The Aquabats! Their sound has radically changed since they formed more than 20 years ago. This album is a little ’80s and a little modern. And it’s all serious awesomeness. Ok, there’s a little reggae in there too. This is their cleanest offering to date. Maybe because there are only five of them on this record, but they are musically tight. There are tunes like Look at Me (I’m a Winner) and Awesome Forces which will always get my blood pumping. When I need a pep talk before job interviews, etc., Look at Me is one of the songs I turn to. I can play drums, but I am not a drummer. It doesn’t happen very often, but there are some songs whose drums stand out to me and make me want to play. The drums in Waterslides is one of those songs. From the beginning of the first chorus up to the outro is just some of the grooviest drumming I have ever heard. Other highlights include Nerd Alert (side note: they make, and I have, an official Aquabats “super cool wrist band”), Hot Summer Nights (Won’t Last Forever) (for full effect, you really need to pay attention to the lyrics in that one), Meltdown, and Demolition Rickshaw. Just in case you were wondering, this album also had a re-release. A special one-year anniversary edition, with three additional tracks. Here’s what my friends thought about Charge!! “So when I searched for the album on Spotify, it brought the tracks up ordered by most listens (somehow I didn’t catch that) and I started listening to them out of order. After a few songs I caught it and started over, because when listening to a good album, the sequence is part of the experience. Good thing I caught it, because this is one such album that insists on a certain flow. I’ve never actually listened to a full Aquabats album. Not sure why. All my friends loved them in high school (although I wasn’t into this sound as much as they were). I had always heard they were fantastic live, and I am usually a fan of self-aware theatrical showmanship. I must say, this wasn’t what I expected. I thought I had heard enough to have a good idea of their sound, but I guess not. I always thought they were more of a ska band. Pleasantly surprised. Especially with a band like this, I’m sure it would take repeated listens of really paying attention to the lyrics to fully appreciate the bombast. Unfortunately this week I didn’t get the chance to sit with it as much as I would’ve liked. Even still, the high energy was enough to keep me interested. I think my immediate favorite is “Nerd Alert!” Quirky goodness. I also enjoyed “Tiger Rider vs. the Time Sprinkler!” and I loved that they flowed together seamlessly (even though Spotify gave me a commercial in between). “Look At Me (I’m A Winner)!” and “Meltdown!” were also great. Very pleased with this album. I wasn’t very excited to listen to it, but that was because I had anticipated something a little different than what I got. It’s always a bonus when expectations are shattered in such a way. My only complaint as of now is the lack of variety, but even that isn’t really a slight because it fits a consistent mood that is great in the right time or place. Sort of like Jolt Cola. Again, I’m reminded of another album I love (from the same year even!) that’s a little more serious, but just as pleasantly energetic. Perhaps another week I shall share it. Let me know what you thought of The ‘Bats, some ’70s funk, or anything else in the comments below. 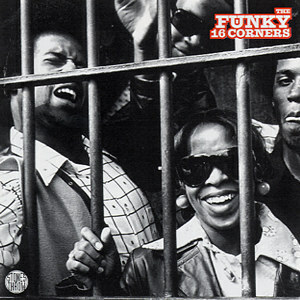 This entry was posted in Music which inspires me and tagged Aerosmith, Bad Medicine, Billy Ball and the Upsetters, Billy Wooten, Bubbha Thomas and the Lightmen Plus One, Carleen and the Groovers, Co Real Artists, Cut Chemist, Ebony Rhythm Band, Ernie and the Top Notes, James Bell and the Turner Brothers, James Reese and the Progressions, Kashmere Stage Band, Revolution Compared to What, Roosevelt Matthews, Silverchair, Slim and the Soulful Saints, Soul Vibrations, Spider Harrison, The Aquabats, The Funky 16 Corners, The Highlighters Band, The Rhythm Machine, The Soul Seven, The Wooden Glass by pls. Bookmark the permalink. I am a musician and outdoorsman.